MENOPAUSE……Let’s break down the word. It equates to a pause in your menses. PAUSE…..heck, it means A LOT more than a PAUSE. That definition made me chuckle. I believe it’s one of the most dreaded words in a woman’s dictionary. The word means more than the end of your monthly periods, painful symptoms, and chocolate cravings. It’s a dreaded word for all, females and males. No, men don’t go through menopause, but they fear the emotions us women experience during the event of aging. Wait until you get to the 35 symptoms of menopause mentioned later. But does becoming a spinal cord injured woman cause a change in the events that occur? This is an interesting question and one that I decided to explore. Being newly injured at age 48, I wasn’t experiencing menopause, pre-menopause, peri-menopause, or post-menopause…….no PAUSES in my monthly cycles. Nope, everything was functioning just fine prior to my accident. But suddenly when my injury occurred, my periods became erratic. While many factors can influence irregular periods, a stress-induced hormonal imbalance is one of the most common causes. When a woman is under high stress, such as an auto accident leading to spinal cord injury, the adrenal glands produce more of the hormone cortisol in response. This excess cortisol influences the amount estrogen and progesterone that are produced, which in turn negatively impacts the menstrual cycle. In many cases, this leads to irregular periods (2016). Okay, explanation accepted. Irregular periods are very common as us women approach menopause. Emotional and physical stress can affect the menstrual cycle and delay the period. Stress decreases hormone signals originating in the brain. This results in the failure of the ovary to release an egg and causes an imbalance in the ovarian hormones estrogen and progesterone. The period may be delayed for a few days to a few weeks and may be heavy when it does occur (2016). Considering I was already reeling from the loss of my lower limbs due to a spinal cord injury, I found this information very interesting. But an article I did run across,stated menopause is no different for able-bodied women than for spinal cord injured. Studies found that stress causes the menstrual cycle to become erratic. Spinal cord injured women are STILL very able to become pregnant. So after investigating this intriguing topic, I believe my symptoms of menopause were coincidental to my spinal cord injury. Periods become erratic due to stress but they will correct themselves. If you have only been experiencing irregular periods for a short time (less than 7 months), it is likely that your periods will become regular again on their own. However, if there is an underlying medical condition that is causing your irregular periods, then receiving treatment for the condition should help to get your periods back on track. If you find that irregular periods are becoming annoying, there are some things that you can try to help regulate your hormones. · Reduce your stress levels. Take time to meditate, relax, or just hang out. This may help put your cycle back on track. · Get help for your eating disorder. If you are anorexic, bulimic, or if you suffer from other types of disordered eating, you must seek help. Not only will these eating disorders interrupt your menstrual cycle, but they can also severely affect your liver, bowel, throat, and heart functions. · Hot flashes – since some SCI women do sweat, others minimally or not at all, plan accordingly. What would you normally do if you become hot in weather related issues? Knowing that you may experience hot flashes but are unable to detect the heat, plan ahead….keep fluids readily available. Stay hydrated. Stay out of the direct sun for long periods of time. 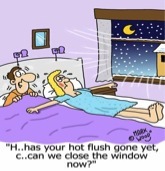 Just some thoughts on the dreaded hot flashes. Stress can cause irregular periods, but spinal cord injury does not cause menopause to occur. Menopause will happen on its own very special timeframe. But one word of caution, irregular periods does not mean that a woman cannot or will not become pregnant. Pregnancy can occur, so birth control should be used if a baby is not in your future while recovering the stress that caused the irregular period. Hopefully, this aids in the wonder of spinal cord injury, stress, and MENOPAUSE. Can stress delay your period, and if so, for how long? Obtained on March 12, 2016 from http://answers.webmd.com/answers/2018942/can-stress-delay-your-period-and-if-so-for-how-long. Irregular Periods. Obtained March 24, 2016 from http://www.epigee.org/menstruation/irregularperiods.html. Stress and irregular periods. Obtained March 15, 2016 from http://www.34-menopause-symptoms.com/irregular-periods/articles/can-stress-cause-irregular-periods.htm. The 35 symptoms of menopause. Obtained March16, 2016 from http://project-aware.org/Experience/symptoms.shtml. PATTY KUNZE is a Registered Nurse with more than 30 years of experience in clinical nursing. She graduated with a Bachelor Degree in Nursing from Old Dominion University and began working in the Spinal Cord Injury Unit of a V.A. hospital immediately after graduation. Later she trained to become a neonatal transport nurse in the Neonatal Intensive Care Unit and progressed in that field for over 15 years. Following that, she was a Labor and Delivery manager for 8 years, and a successful nursing instructor prior to her accident. 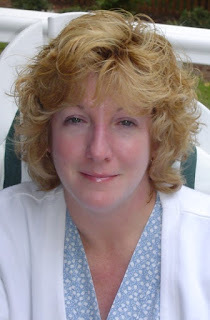 In 2009, Patty and her husband moved to a new home and while relocating they were involved in an auto accident in which she sustained a complete T3-4 spinal cord injury. She experienced life as a patient instead of a nurse during her hospitalization and rehab, which proved challenging for a seasoned nurse with experience in spinal cord injury. Patty has been married to her husband for more than 26 years and they are proud parents of two sons, ages 24 and 20. She works a part-time job as a nurse for her local hospital, as a nurse paralegal for local legal firms, and fulfills her need to help others by writing helpful medical articles for individuals with limited mobility and spinal cord injuries as The RollinRN. She enjoys being the family supervisor, gardening, reading, research, travel, and spending time with their two dogs. We would love to hear from you! Please become a member to comment. Thank you! mobileWOMEN.org has an active, secure, private Facebook page. Each day more mobileWOMEN join the safe page to seek advice, help others find answers, provide support, share projects and celebrate our community. Join now and interact today!